Pork ribs on the grill are a staple of summertime barbecues, but when it's too cold to grill, you can enjoy them just as much cooked in a pan on a stovetop. 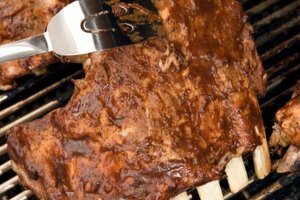 You can cook any type of ribs in a frying pan, such as spareribs, baby back ribs and country-style ribs. They should be cut into individual sections so they fit easily in the pan. 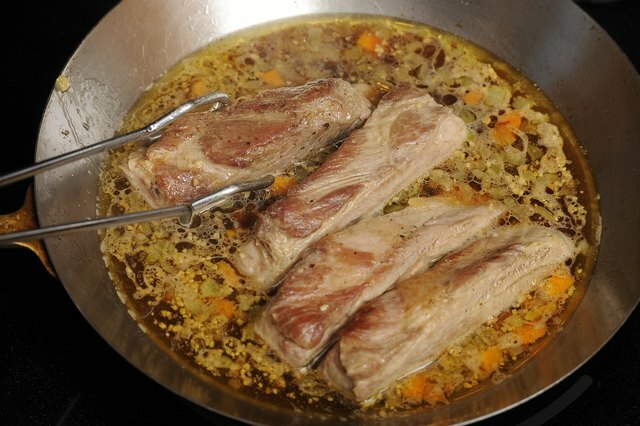 The ribs can be prepared pan-fried in oil, braised in a flavorful liquid or even breaded and deep-fried. 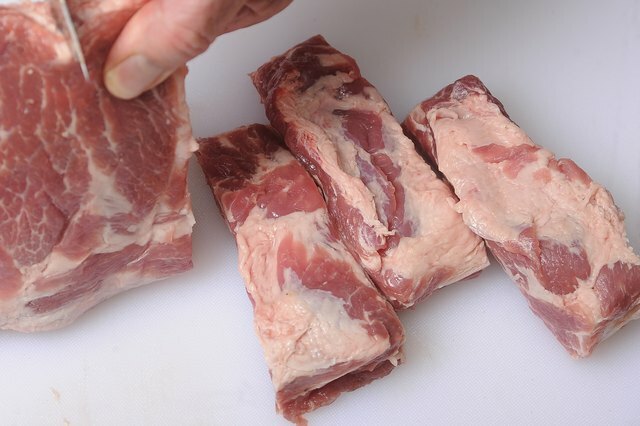 Place pork spareribs or baby back ribs, cut into individual pieces, on a clean cutting board. Season generously with salt, pepper and any other spices you would like, such as garlic powder, paprika and dried herbs. 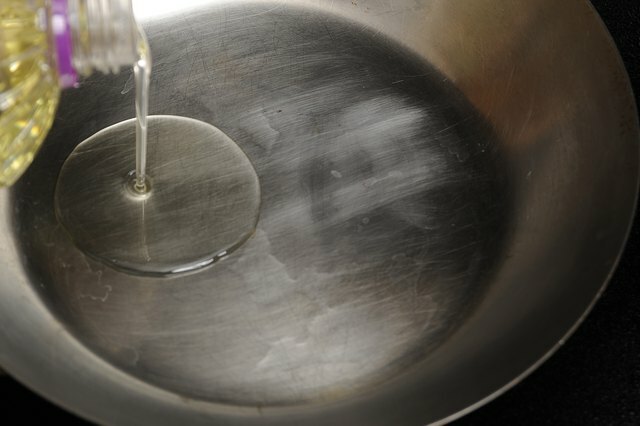 Coat the bottom of a heavy frying pan with canola or vegetable oil and bring to medium-high heat on the stovetop. Add the ribs to the hot oil and fry on one side until browned, then flip the ribs over and fry the other side. Continue cooking, flipping the ribs over periodically, until all the meat is well browned and the internal temperature has reached at least 145 degrees Fahrenheit. 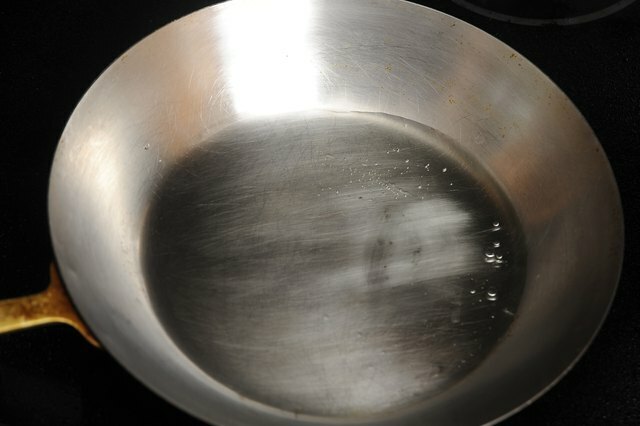 Coat the bottom of a large, deep frying pan generously with canola oil and place over medium-high heat on the stove. Season pork spareribs with salt and pepper, then add to the hot oil until well browned on all sides. Remove from the oil and set aside. 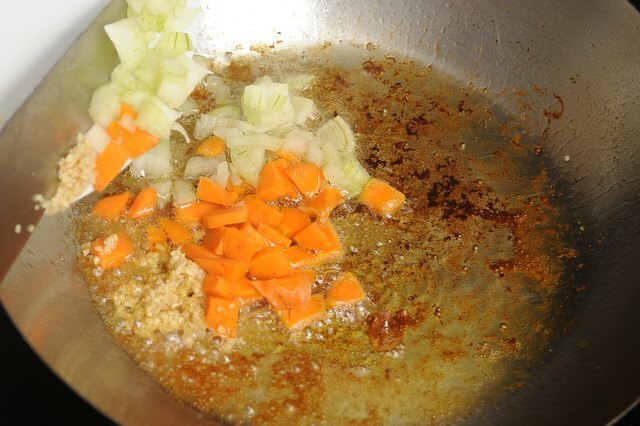 Add any aromatics you prefer to saute in the hot oil, such as diced onions, garlic, carrots and peppers. 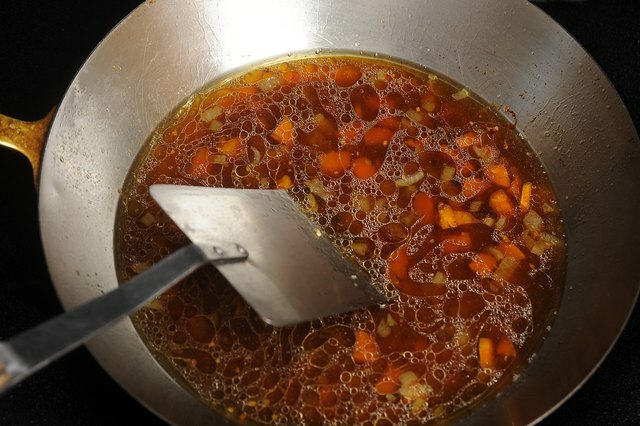 Pour in braising liquid of your choice, adding enough to just coat the bottom of the pan. You can use chicken or beef stock, wine or equal parts of both. 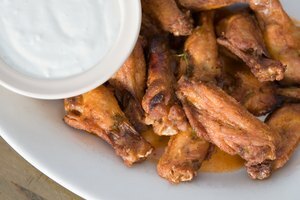 You can also use beer instead of wine, as well as cider and a splash of citrus juice for more flavor. Deglaze the pan with a spatula, scraping up browned pieces of meat and sauteed vegetable, which are packed with flavor. 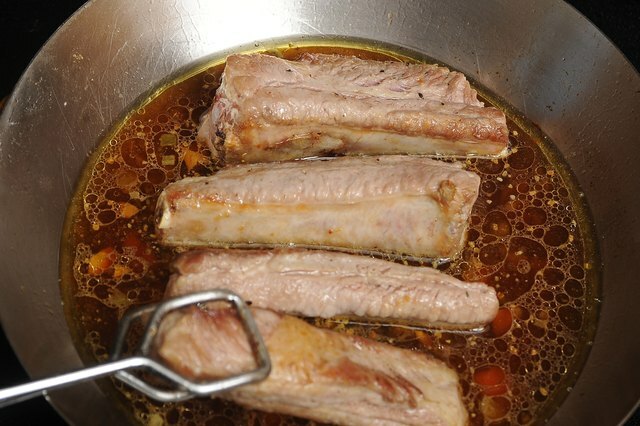 Return the spareribs to the frying pan and add more braising liquid, just enough to cover the ribs halfway. Do not fully submerge them in the liquid. Reduce the heat and bring the liquid to a constant simmer. Cover the pot and cook the spareribs until the meat is very tender and has reached a minimum of 145 degrees F. Use tongs to lift the ribs from the liquid and serve. Season country-style or baby back pork ribs with salt and pepper. 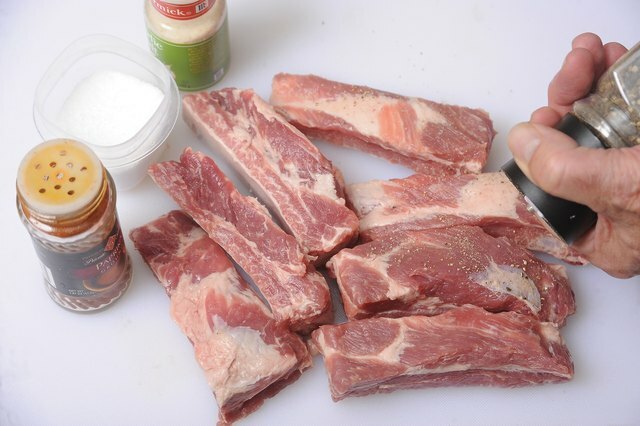 Cut ribs into individual pieces if necessary. Fill a deep frying pan about 3/4 of the way with peanut oil. 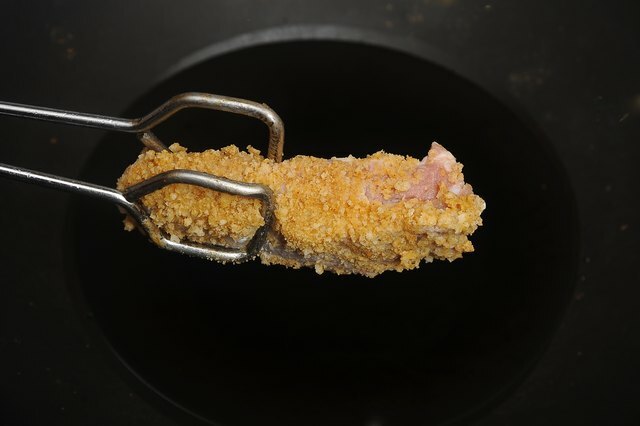 Bring the oil to a temperature of 325 F. Use a food thermometer if you are not using a deep fryer to determine the temperature. 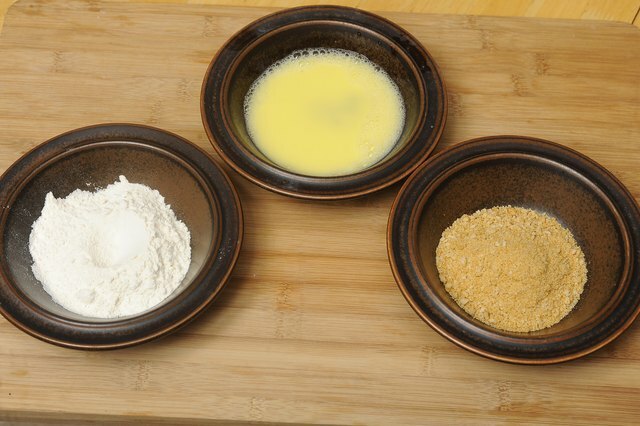 Pour flour into one shallow bowl, beaten eggs into another bowl and finally panko breadcrumbs into a third. 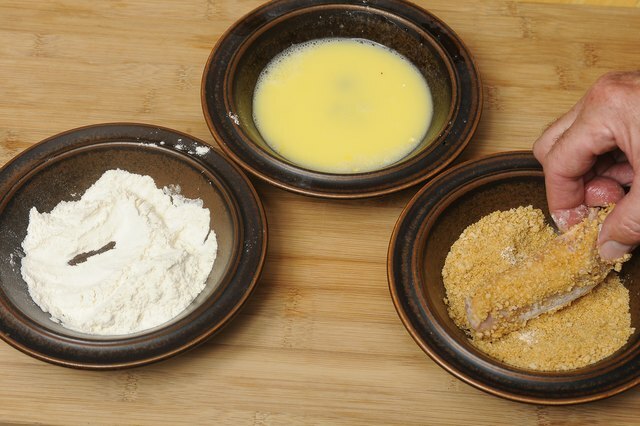 Season the flour to your taste and add a little water to the eggs to create an egg wash.
Dip each rib, one at a time, first into the flour, then the egg wash, then the panko breadcrumbs, pressing down firmly to help them adhere. Place the coated ribs into the hot oil for about 7 to 8 minutes. Flip them over about halfway through. The ribs should be golden brown and crispy when ready. Use a meat thermometer to make sure the ribs have reached an internal temperature of 145 F as well. 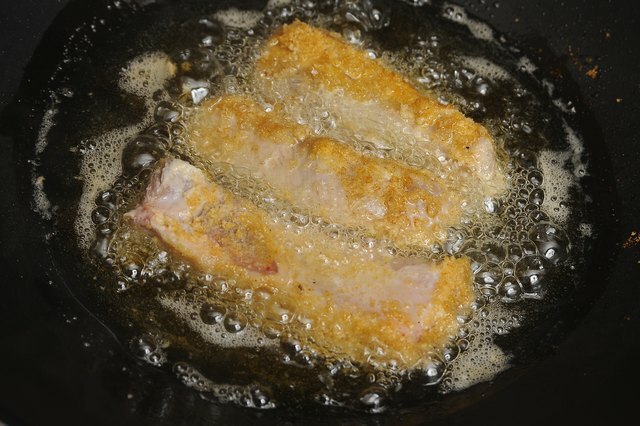 Drain the fried ribs on paper towels before serving hot. 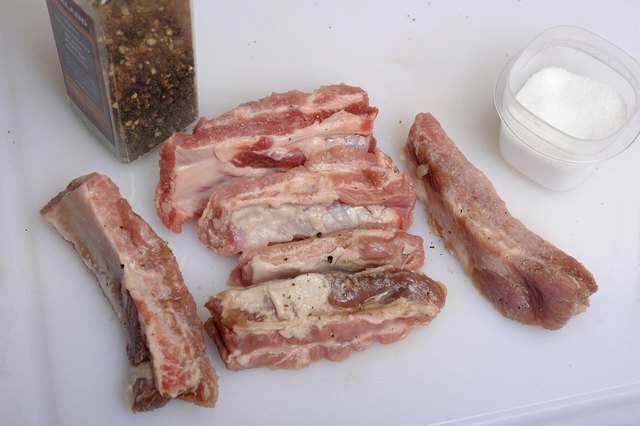 Marinate the ribs overnight in a mixture of olive oil and an acidic liquid such as apple cider vinegar or lemon juice for more flavor. 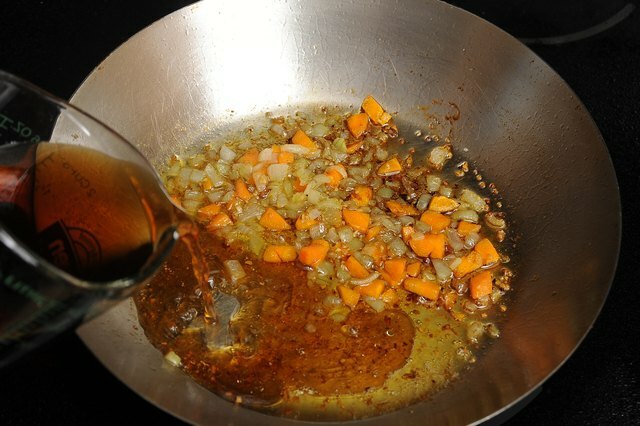 Add in aromatics, such as minced garlic, onions and fresh herbs, as you see fit. 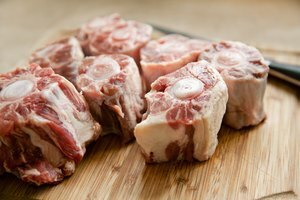 For braising, light lager beers and cider work to complement pork particularly well.